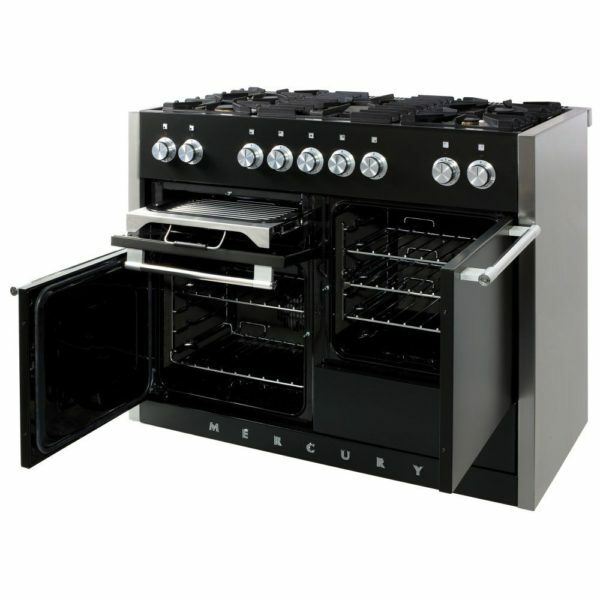 Intuitively designed with meticulous attention to detail, we love this stunning 120cm wide range style cooker from Mercury. 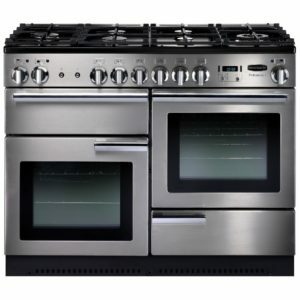 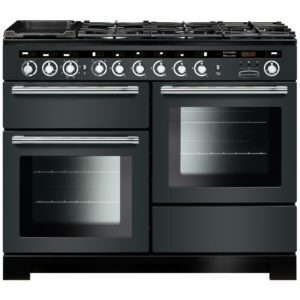 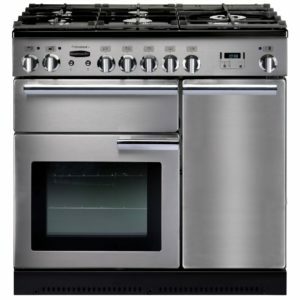 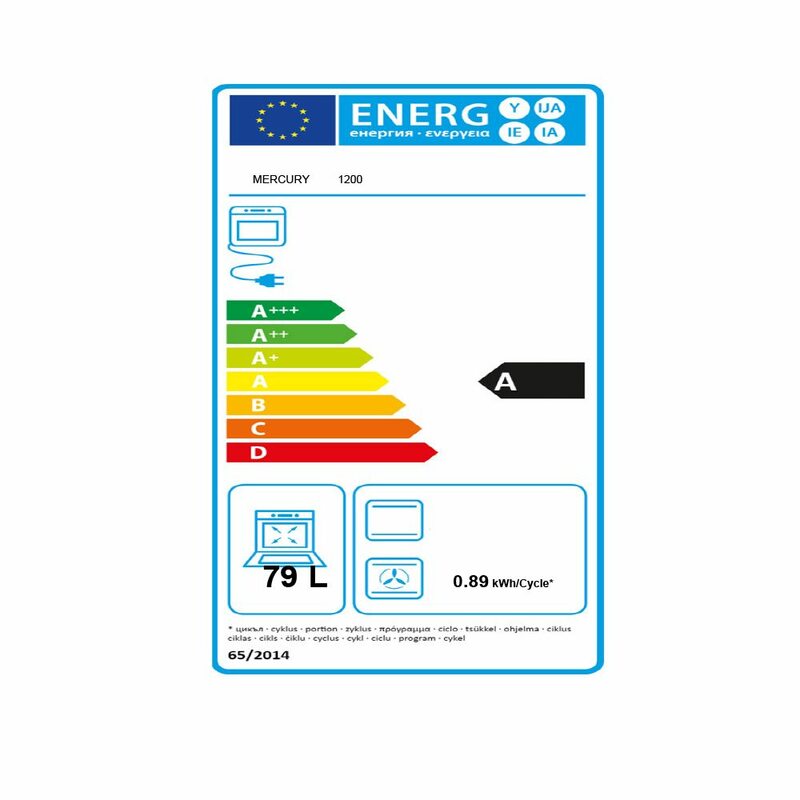 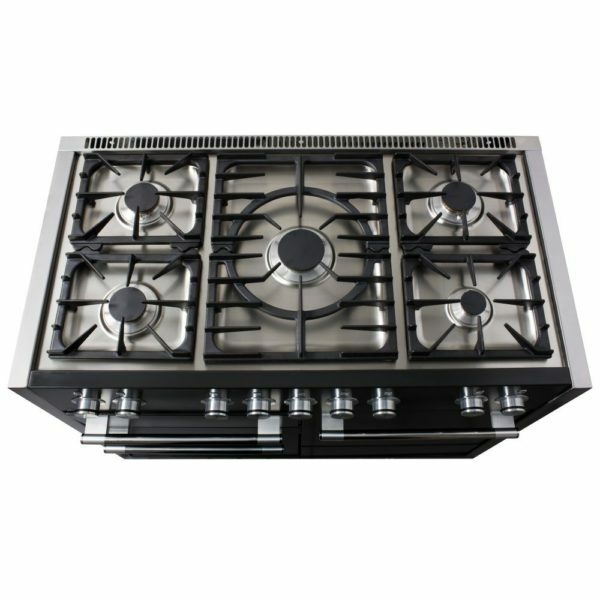 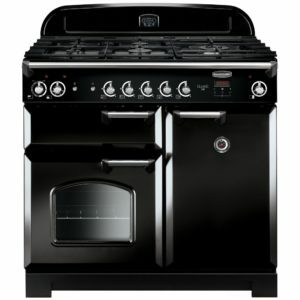 Featuring two electric ovens with stay-clean removable liners, a separate glide-out grill and a five burner gas hob, chefs at the top of their game would be proud to use this cooker. 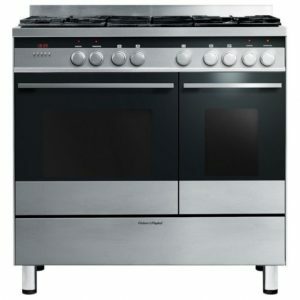 There is also a handleless storage drawer with push-pull design, perfect for storing your bakeware and utensils in. 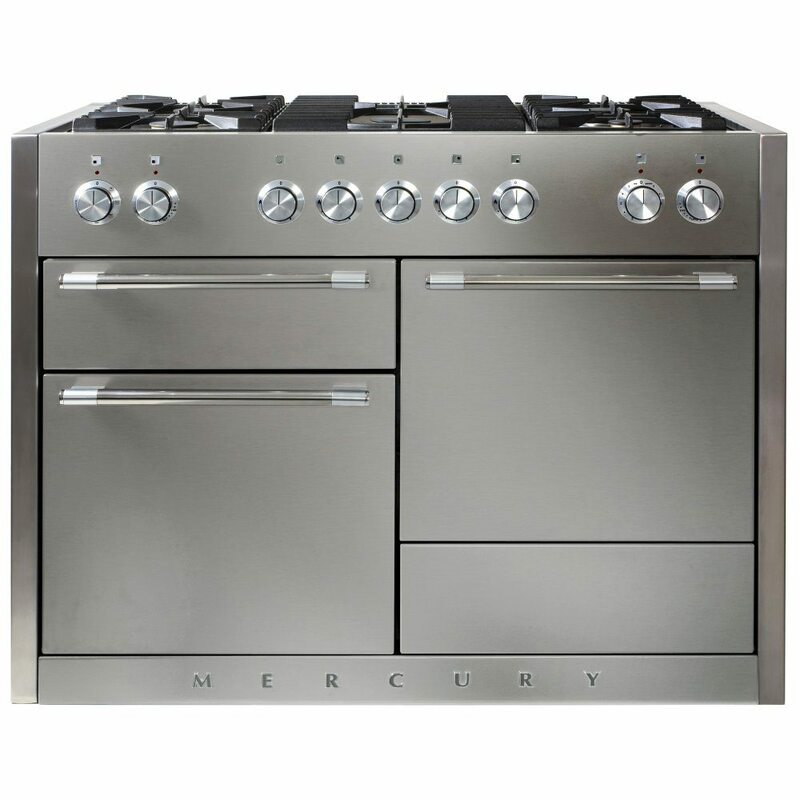 The MCY1200DFSS is a thing of beauty, both inside and out with its stainless steel finish, cast iron pan supports and heavy duty stainless steel shelves, runners and wirework. The stainless steel side trims on this cooker are designed for flush fitment against a wall. 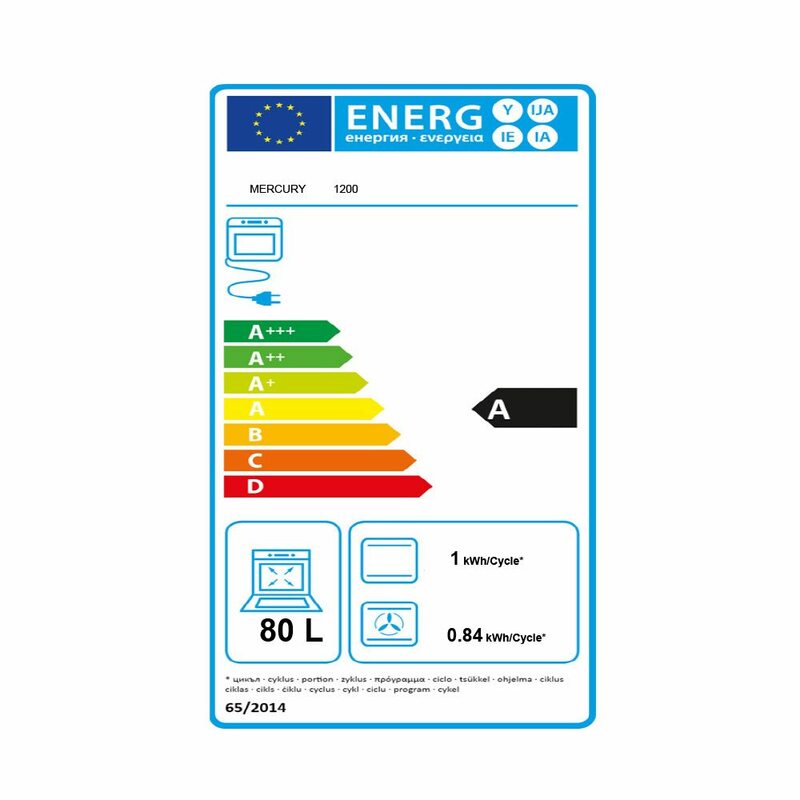 This must be considered when installing the gas supply pipe.